Our new line of hygrometers are top quality, and will give you years of trouble free accurate readings of the percentage of moisture in the air. You will be glad to have them in your home or office, or receive as a gift. 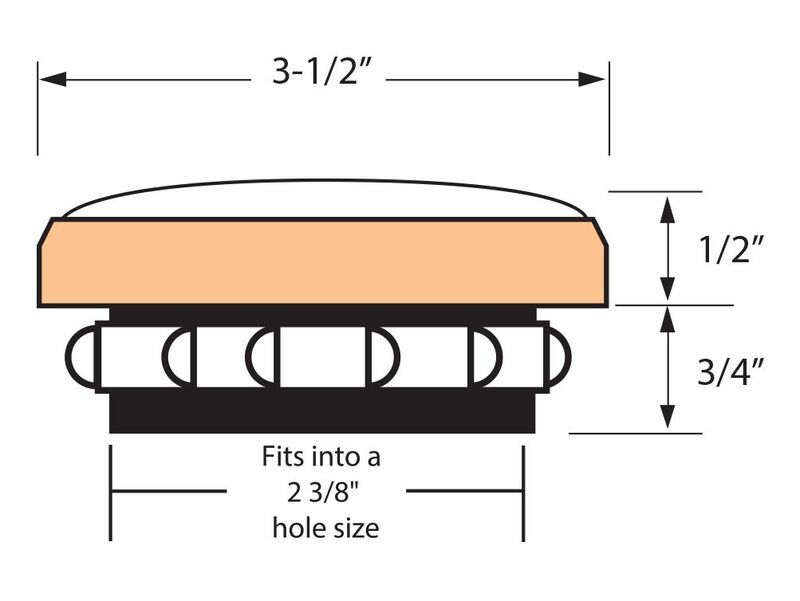 We make it so easy…just drill a 2-3/8 in. in any firm material that is 3/4 in. thick or more, and press these soft gasket mounted instruments in place. Each hygrometer features a gold finish metal bezel and is fully adjustable. Even though they are factory set, each hygrometer has a plastic clip that holds the coil and can easily be re adjusted by the end user, with a slotted screw driver to match their local humidity. These hygrometer are also perfect for use in Cigar Humidors. Overall thickness: 1-1/4"	Mounting Depth: 3/4" Bezel/Lens Height: 5/16"